On February 14, 2017, a mission team from the Anglican Province of America (APA) consisting of the Most Rev’d Walter Grundorf, Dr. Mary Grundorf, and the Very Rev’d David Haines (Vicar General for Global Partnerships) started on their journey to India when they departed from Atlanta that evening. The team arrived in Hyderabad, India on February 16, 2017 and they were greeted at the international airport by Bishop Jaya Rao and his family, together with Pastor Swamy Das, a good friend and trusted translator. The team then spent the rest of the day in Hyderabad preparing for the trip to the Kadapa District by organizing a rental vehicle and driver, and trying to recover from the twenty plus hours of flying. The group spent the night at the airport hotel. At 7:30 am the next morning, February 17, the group set out on the eight-hour drive to Jammalamadugu in Kadapa. On route the group stopped at St. Luke’s Anglican Church, Pottipadu, in the Kurnool District. The group was warmly welcomed in the traditional Indian way with wreaths of flowers placed around their necks and the village band leading them through the village to the church. During the service that followed both Bishop Grundorf and Fr. David were asked to preach by Bishop Jaya Rao. Following the service the team shared a meal provided by the members of the church, after which they continued to lay hands on and to pray for all those seeking prayers and healing. Then it was back on the road to Jammalamadugu. The group arrived in Jammalamadugu in the late afternoon and after checking into the lodge where they were to be accommodated and freshening up they set out to visit two more churches before returning to Jammalamadugu for a late dinner a little after 10:30 p.m.
A similar pattern would be followed for the next four days. With most days beginning around 7:30 am and ending with dinner at 10:30 or 11 pm and driving from six to nine hours each day. In each village or town the group was greeted in the traditional manner with flowered wreaths and the local band. Also, meals or snacks were provided at each of the churches that were visited. A total of fifteen churches in five different districts were visited and Bp. Grundorf and Fr. David preached at each church. In several places Dr. Mary also brought greetings and specifically addressed the women and girls in the congregations and this was very well received in each place. In many of the churches the children’s Sunday school groups put on singing and dancing performances for the group. Bishop Grundorf was also asked to baptize several children at the various churches with four baptisms being performed in one of the churches. On Sunday, February 19, 2017, Bishop Grundorf celebrated and preached at the Holy Communion service held at Holy Nativity Cathedral in Jammalamadugu. The parade before the service was much more extravagant than any of the previous occasions. A special Jeep was decorated and had two throne-like chairs on a raised platform for Bishop Grundorf and Dr. Mary. The sides of the Jeep were ornately decorated with golden peacocks and those walking alongside, in front and behind showered the Jeep and its occupants with flower petals. 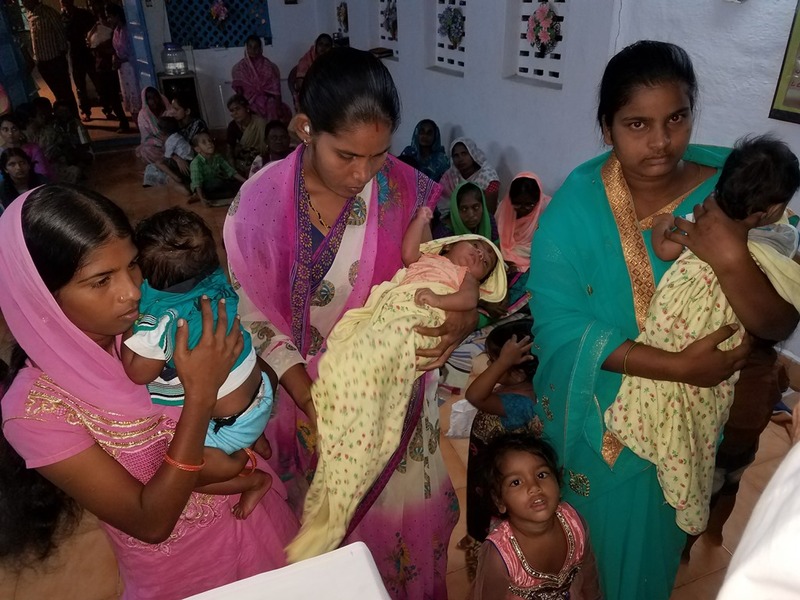 On February 22, 2017 the team traveled back to Hyderabad to begin the second part of the trip with Good Shepherd Church (formerly Operation Mobilization – India). This was also the time that the team separated and said their farewells to the driver from Avis, Bujender. During the six days together the team established a very strong bond with Bujender and he attended every church service and stayed with the group at each of the locations and ate almost every meal with the group. During the course of the visit he expressed interest in the Christian faith and the team purchased and presented a New Testament in Telegu to him at the time of their parting. The group met up with Keith Haywood from Operation Mobilization – USA at the hotel and finalized the plans for the next three days. 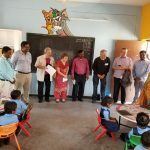 At 7:30 a.m. on February 23, 2017 the group consisting of the APA Mission Team, Bishop Jaya Rao, his wife Rebecca, their son, Richard, Pastor Swamy Das and Bishop Jaya Rao’s driver, Prasad, together with Keith Haywood (OM-USA) and Mr. Raja (Good Shepherd Schools) set out to visit the Good Shepherd School in Kollur, in the Mahbubnagar District of Telengana. The school is a four hour drive from Hyderabad near the border with the adjoining State of Karnataka. The school was built using funds from the 2011 Lenten Appeal and is part of a larger rural development initiative among women and children at risk in this region. The initiative is directed most specifically towards temple prostitutes and their children and its purpose is to break the cycle of human trafficking that is prevalent in this area. The team arrived at the school just before noon and they were warmly greeted in the customary Indian way. The history and the functioning of the school were then explained in detail by Mr. Raja and the current school administrator. After the children’s lunch break the group was taken on a tour of each of the classrooms and introduced to the teachers and the students from each of the five grades currently being taught. Fr. David also had the opportunity to personally meet and greet each of the children that have been sponsored this year by All Saints, Wilmington, NC. In the middle of the afternoon the team headed back to Hyderabad for dinner and to prepare for the meeting with the Good Shepherd Church the next day. 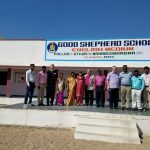 The following day, February 24, 2017, the APA team together with Pastor Swamy Das, Bishop Jaya Rao and his wife Rebecca, together with Mr. Keith Haywood (OM- USA) met with the senior leadership of the Good Shepherd Church to review our past progress and to clarify the APA’s commitment to the Good Shepherd Schools. When the possibility of establishing another Good Shepherd School, this time in the Kadapa District of Andhra Pradesh was discussed, the APA team agreed that it was something that they could support and would commit to trying to raise the necessary funds to establish such a school, provided Bishop Jaya Rao was in agreement and provided that it could be located close to a village or several villages where the Anglican Church of India has a presence. At the conclusion of the meeting Bishop Jaya Rao (Anglican Church of India) had asked for some time to think over the proposals that had been discussed in the meeting and had not made a commitment either way. Following lunch, the APA team was then taken to a local shelter that the Good Shepherd Church has established to house girls who have been rescued from the Hindu temple prostitution system. This was a rare privilege and not something that is afforded to all visitors. The current shelter is a rented property and houses forty-four girls ranging in age from six to eighteen years. Each of the girls introduced themselves individually and they then sang several hymns and worship songs for the visitors. This was an extremely moving and emotional experience for all the visitors. At the conclusion of the visit Fr. 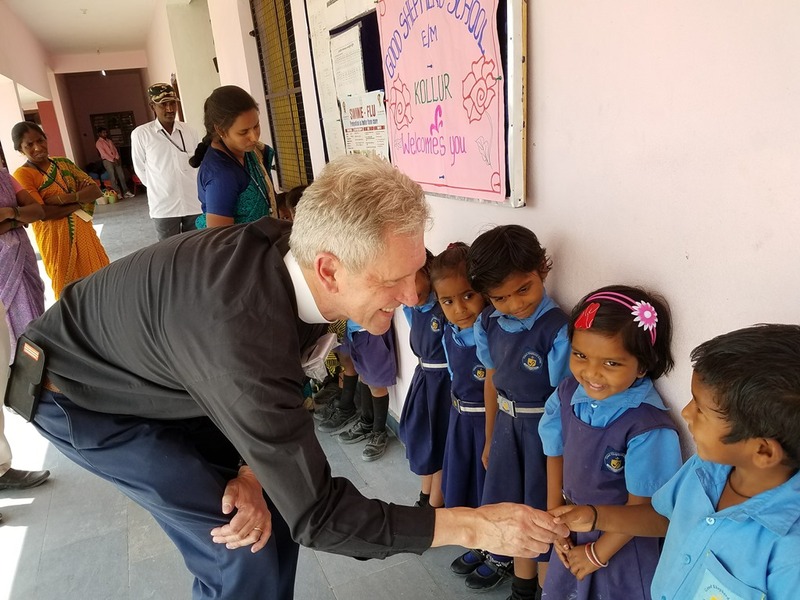 David offered prayers for the girls and for the great work that is being carried out in order to disrupt the cycle of human trafficking being experienced by the Dalits of India. The APA team then said their farewells to Mr. Keith Haywood who was returning to the US that evening and returned to their hotel in Hyderabad. The next morning the team set out to exchange the money they brought with them in order to reimburse Bishop Jaya Rao for the trip and leave sufficient funds to pay for the functioning of the church as the Indian government had restricted some of the recent wire transfers. Throughout the trip the team had been restricted to exchanging only small amounts each day due to a monetary crack down that was taking place in India. On this last day the team was finally able to exchange all of the funds and to pay both Bishop Jaya Rao and our interpreter, Pastor Swamy Das. Later that day, during the meeting to conclude the visit of the APA team to India, the issue of the Good Shepherd School was again discussed with Bishop Jaya Rao. 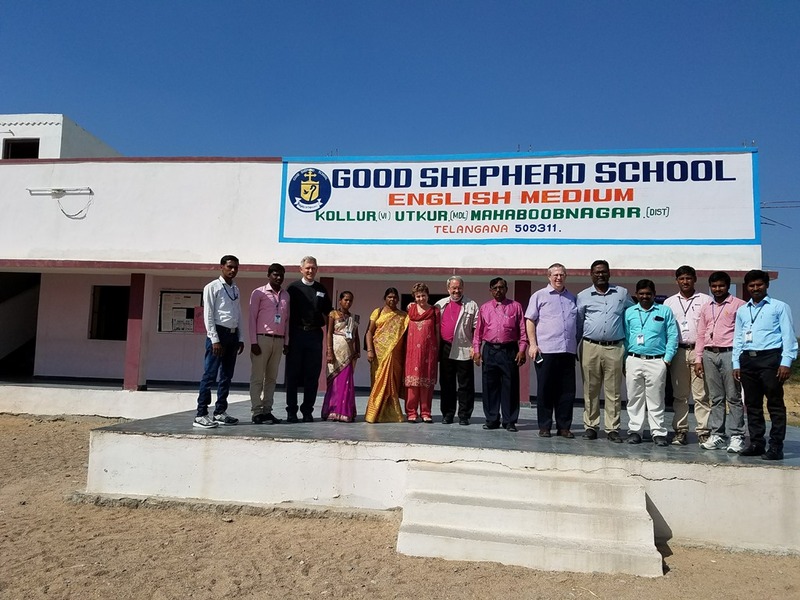 He agreed that a Good Shepherd School located near the villages where the Anglican Church of India has churches would be of great benefit to the community and to the members of the churches. He requested that there be a mention on the school building and signage acknowledging the sponsorship of the project by the APA and the Anglican Church of India and that he be given the opportunity to approve the location of the school. The APA and the Good Shepherd Church have agreed to this proposal and are actively seeking property on which to start this new project. In the early morning of February 26, 2017, at 2:00 a.m., the APA team left the hotel in Hyderabad to depart for the airport. All of the team were greatly surprised to find that the Avis driver, Bujender, from the week before had made special arrangements and gone out of his way to pick the team up and drive them to the airport. All this made for a very emotional and tearful farewell at the airport before the team began the rigors of more than twenty hours of flying to get back home. The team arrived back in the US on the same day, February 26, due to the time difference between India and the US. 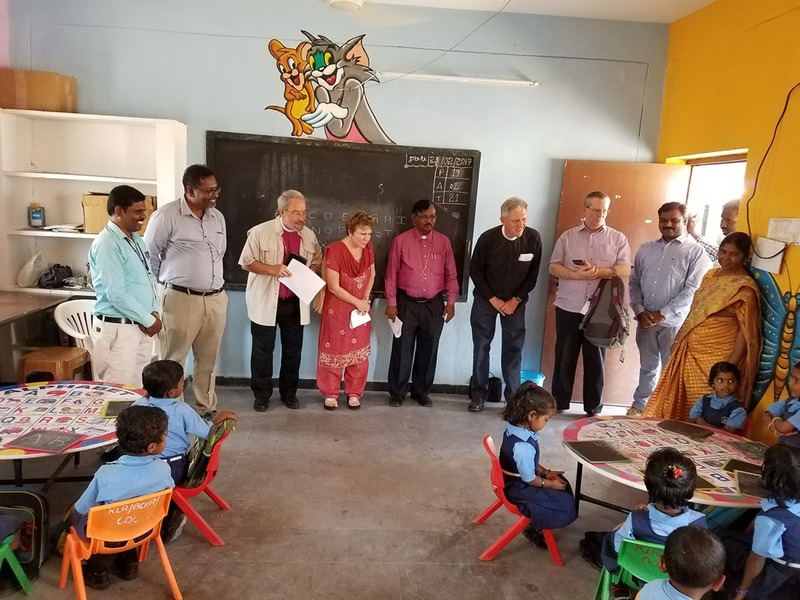 A report on the progress in India and with our other Global Partners around the world will be presented at the upcoming APA Synod in Atlanta in October.